Sarah is a specialist in construction and engineering disputes, appearing both in the high court and in international arbitrations. She is recognized for her court advocacy, the quality of her written work and her approachable, straightforward style. Sarah’s practice encompasses a diverse range of disputes, often on a repeat instruction, centered on construction and engineering, and extending to energy, international arbitration and telecommunications disputes. Recently she has been involved in a TCC trial involving glazing defects in the City of London, an ICC arbitration trial concerning questions of force majeure, bailment and causation in a mining facility in Western Africa, and an LCIA arbitration regarding an EPF in the middle east. She has experience with a range of the standard form contracts (or contracts based on those forms) including NEC, JCT, and ICE. 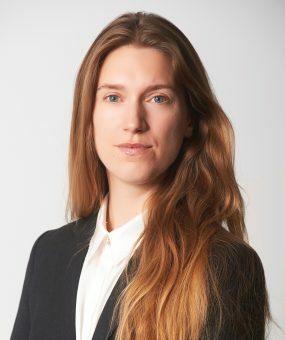 Alongside her practice, Sarah has been elected as Councillor for the Society of Construction Law, in which she judges the Hudson Prize and takes responsibility for ‘SCL Astra’ – the branch of SCL for those within their first 10 years of practice or moving to a new field within the construction legal industry. 125 OBS v Lend Lease Construction (EMEA) Limited (TCC) Junior acting for the Defendants in a claim for direct and consequential losses arising from glazing failures in a property in the City of London (with Adam Constable QC). Costain v Haase Environmental Consulting GmbH (TCC) Acting on behalf of the main contractor of a waste management facility in the north of England in a claim against its specialist sub-contractor (with Adam Constable QC). De Haan v 89 Drayton Gardens Limited (TCC) Instructed at all stages of the successful adjudication enforcement, which considered jurisdictional challenges in respect of variations and multiple contracts. Exchequer Partnerships v Lendlease (TCC) Instructed on behalf of the Claimant against the main contractor and hard facilities management contractor relating to alleged defects in the Government Offices, Great George Street, London (with Alexander Nissen QC). Accolade Wines Limited -v- VolkerFitzpatrick(TCC) acting for the tenant in a substantial defects claim (circa £130m) in respect of a large wine distribution warehouse (with Alexander Nissen QC and Calum Lamont). Listed by The Lawyer as one of the top 20 cases of that year. Cambridgeshire County Council v BAM Nuttall Limited (TCC) Junior instructed on behalf of the Council in respect of the design and construction of a bespoke guided busway in Cambridgeshire under the NEC2 form of Contract (with Stephen Furst QC). Instructed on behalf of the National House Building Council (NHBC) to act in various claims involving NHBC Buildmark insurance, including successfully representing the NHBC at trial against two guarantors under the Buildmark scheme in NHBC v Young and Broad, and in appeal proceedings. Acting for an international JV in a substantial arbitration claim in respect of a major municipal facility in Doha, Qatar (as part of the counsel team led by Richard Harding QC). New Ireland Assurance Company Ltd v Amec Construction Limited (TCC) Instructed on behalf of the Claimant in a multi handed dispute in the TCC. Marshall Fire & Security Solutions v A. F. Connell (TCC) Instructed on behalf of fire and security specialist sub-contractor claimant in relation to a debt and variations claim in the Leeds TCC for works to various police stations in the north of England. Zahoor v 15 West Heath Road Management Limited Representing the respondent in an appeal against a Party Wall etc. Act 1996 award. Multiplex Constructions (UK) Ltd v Mott Macdonald Ltd Instructed in the Wembley Stadium litigation as part of the counsel team for Brookfield (formerly Multiplex) in a professional negligence claim against the consultant engineers. Repeat instructions from a large Italian oil and gas company in the preparation through to trial of disputes occurring in its international drilling projects (with Veronique Buehrlen QC). Instructed by the Claimant French mining company in the preparation and trial of an ICC arbitration claim concerning questions of force majeure, bailment and causation in a mining facility in Western Africa (with Veronique Buehrlen QC). Acting for the claimant JV in an LCIA arbitration concerning issues of substantial delay and variations in respect of a large nuclear power facility (with Simon Hughes QC). Acting for an international JV in a substantial claim in respect of a major municipal facility in Doha, Qatar (as part of the counsel team led by Richard Harding QC). Repeat instructions from a large Italian oil and gas company in the preparation through to trial of disputes occurring during its international drilling projects (with Veronique Buehrlen QC). Instructed by the shipbuilder in a variations claim against the purchaser of a mega yacht. Repeat instructions from British Telecommunications Plc at all stages to trial in respect of claims of varying scale and nature, including multi million pound disputes regarding nuisance, negligence, fire damage and wayleaves under the Telecommunications Code. Acting for a JV in respect of disputes arising out of public waste water processing facilities across the north of England (with Alexander Nissen QC). Governor and Company of the Bank of Ireland v Watts PLC (TCC) Acting for the Governor and Company of the Bank of Ireland in a claim against its project monitoring surveyor in respect of residential development in the North (with Veronique Buehrlen QC). Various instructions in respect of claims for and against surveyors of residential properties. "A quality junior who works hard. In particular her cross examination is highly recommended." "Sarah is hard-working. She rolls her sleeves up and gets on with it." "Her cross-examination has been precise and incisive, and she is completely on top of the detail." "Popular junior with a strong practice that often sees her instructed in high-value TCC litigation and international arbitration." "She is hard working, diligent and proactive, and has a good grasp of the finer details." "She is very good with clients." Sarah is guest speaker at numerous events both in London and the regions. She is invited to speak annually at King’s College Centre of Construction Law at the Introduction to Construction course. She is a contributor to several leading texts including Keating on Construction Contracts, Keating on Offshore Construction and Marine Engineering Contracts, the Construction Law Reports, Keating on JCT Contracts, and Bullen & Leake & Jacob’s Precedents of Pleadings.